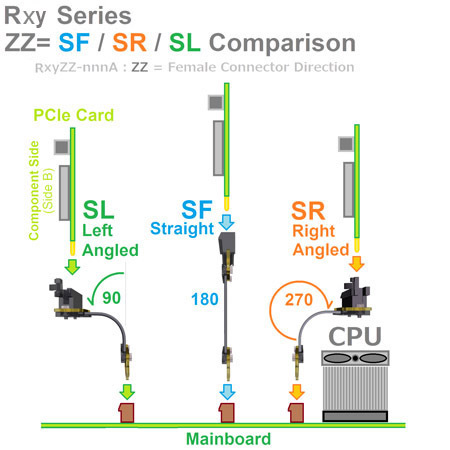 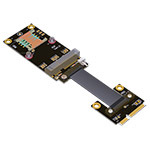 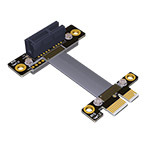 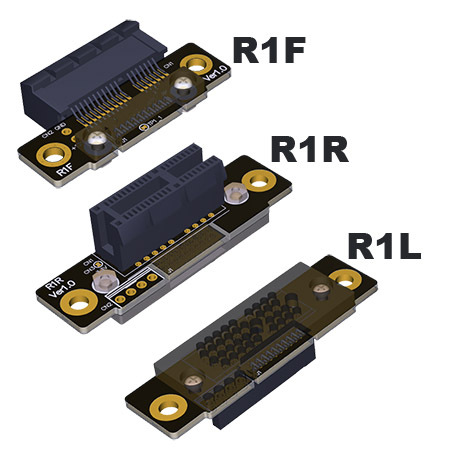 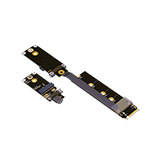 R3y series is PCIe x16 Edge Connector Extension Adapter cable, adapted to PCIe x1, x4, x16, M.2 Key M / A+E, mPCIe (mini PCIe), U.2 (SFF-8639) connectors to re-locate a PCIe card slot or bridge between slots on two different PCBs. 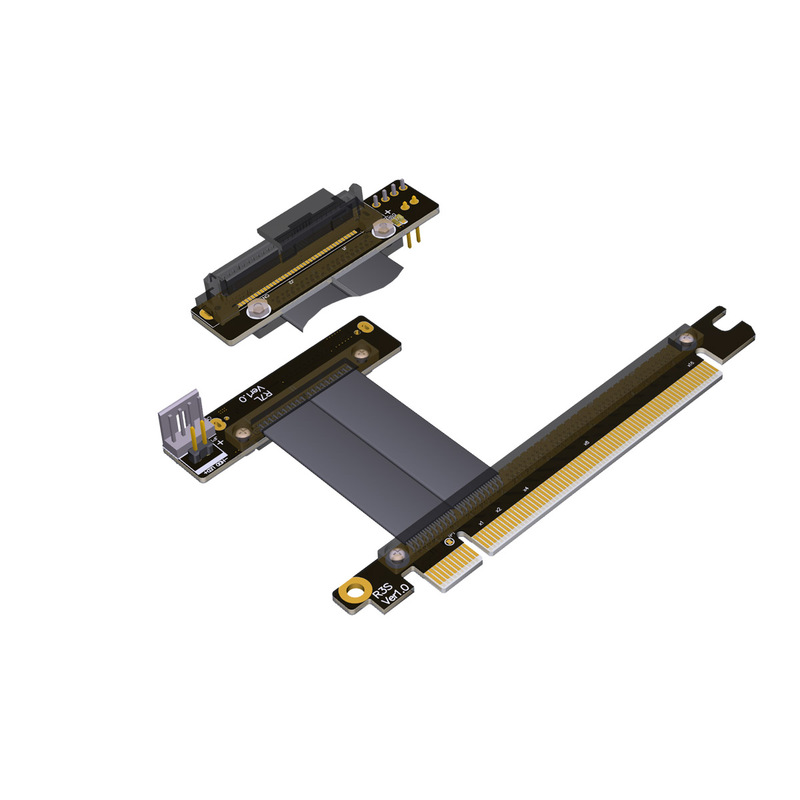 The ribbonized format of the axial cable provides a dense and flexible solution without signal attenuation for high speed PCIe Gen3 8Gbps Data Transaction, bidirectional 256Gbps (256GT/sec) for PCI x16, and 16Gpbs (16GT/sec) per PCIe lane. 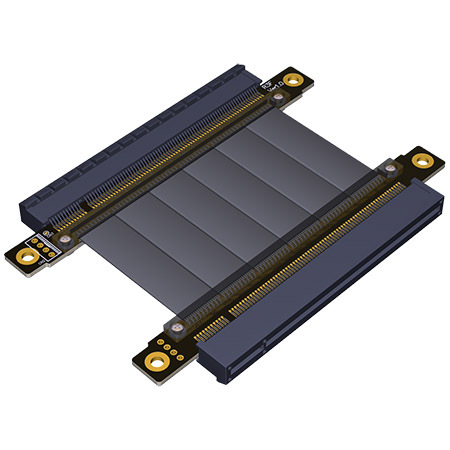 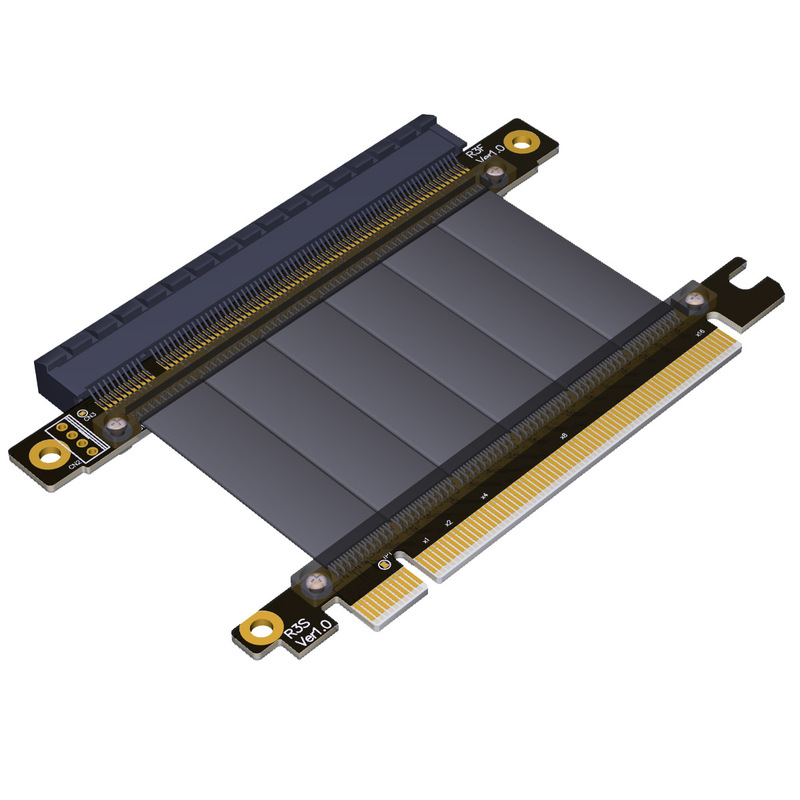 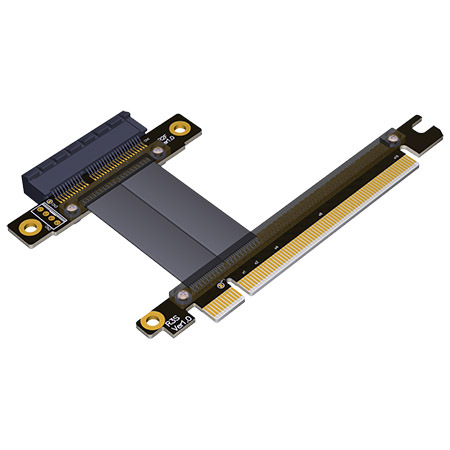 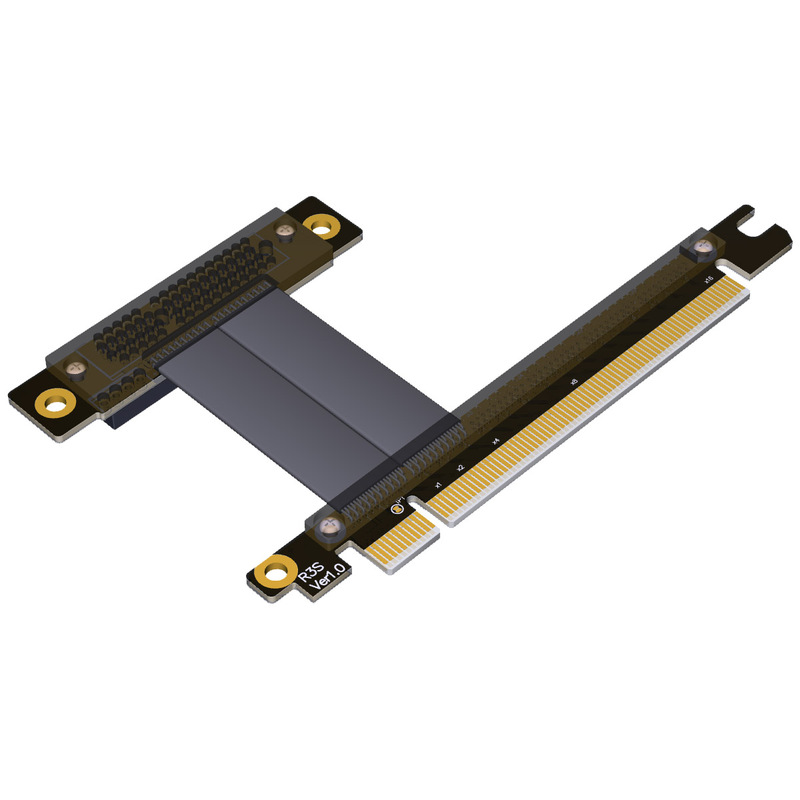 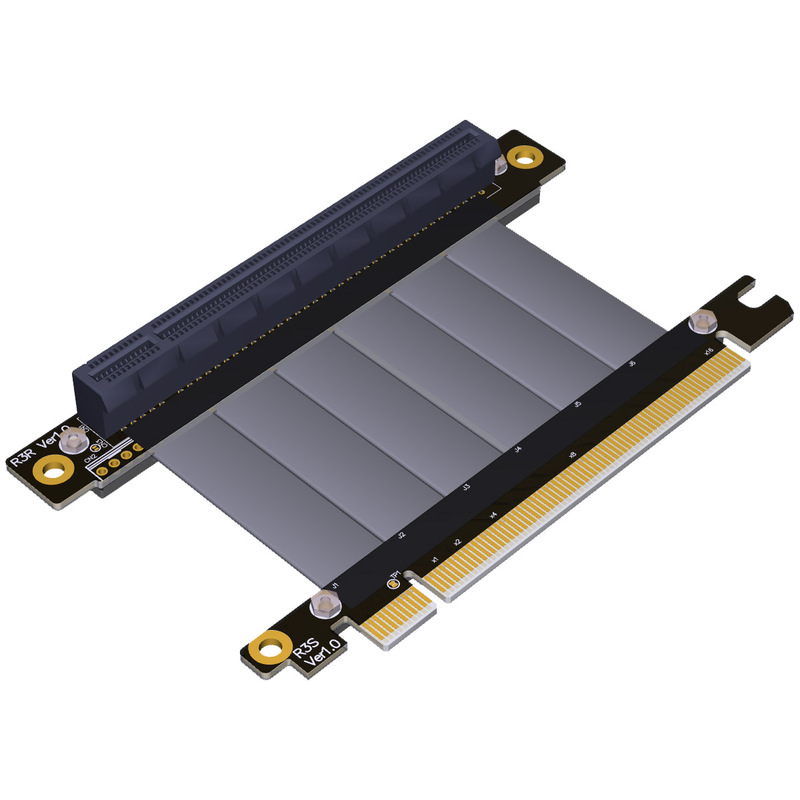 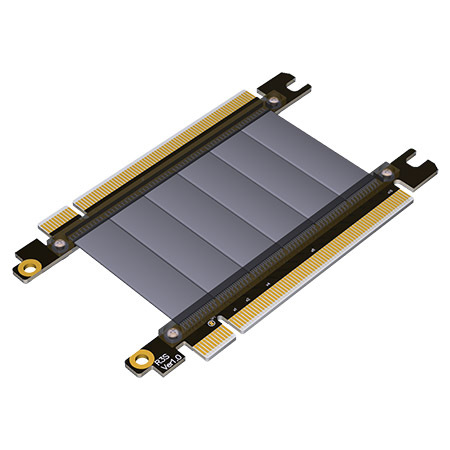 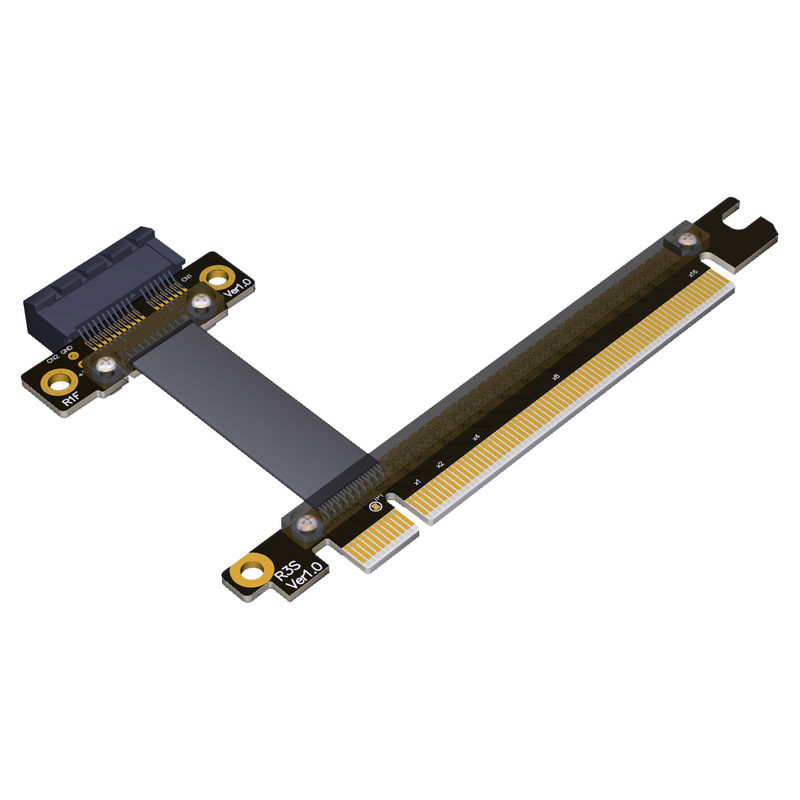 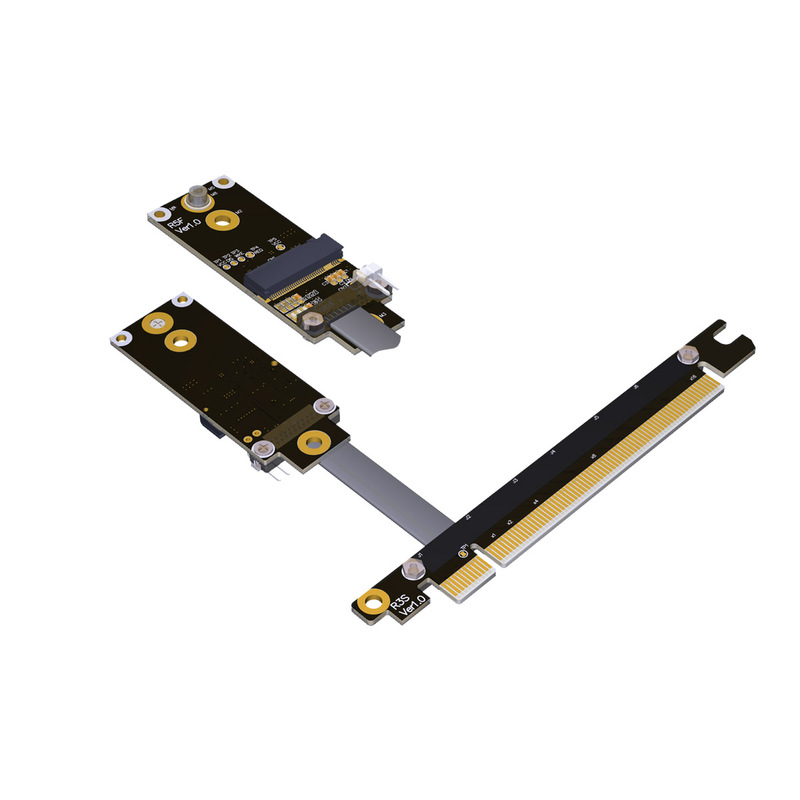 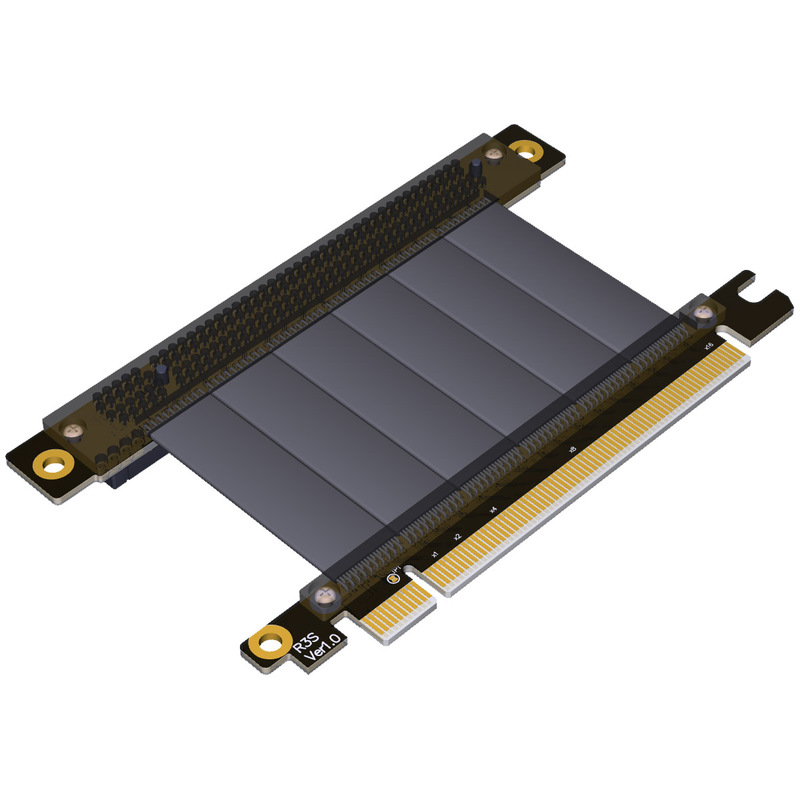 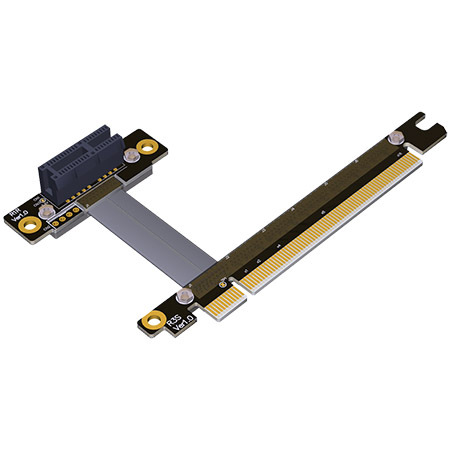 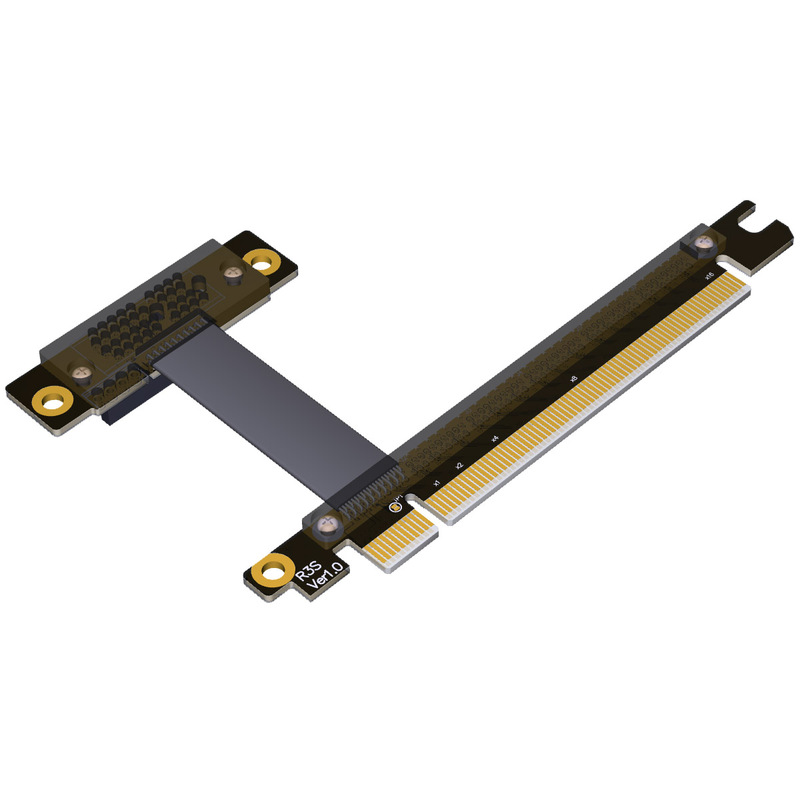 PCIe Gen3 8Gbps. 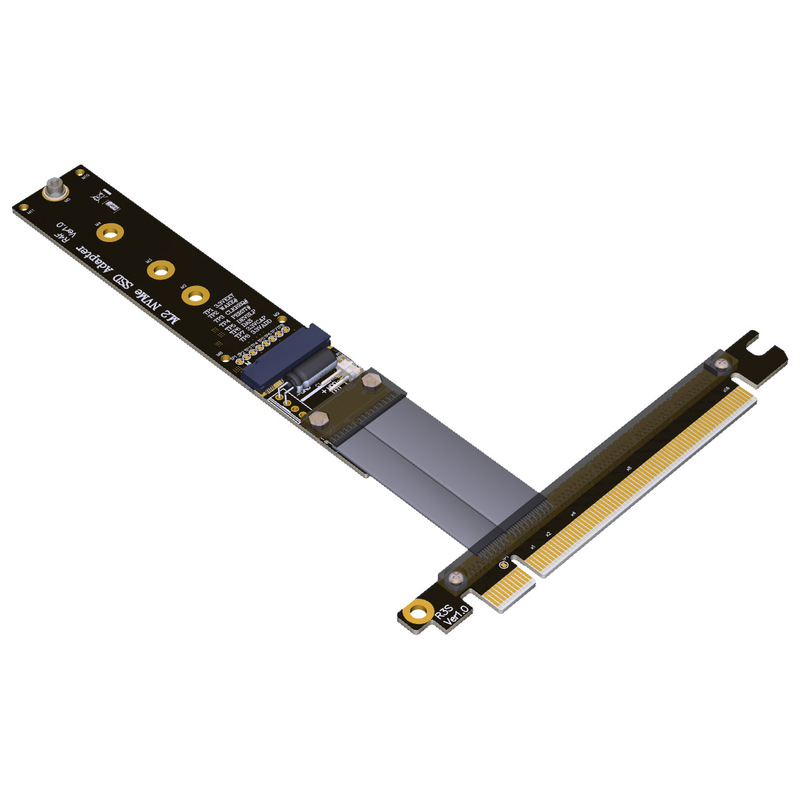 Bidirectional 2.0GB/sec (16Gpbs , 16GT/sec) per PCIe lane, PCIe Gen2 (5Gbps) & PCIe Gen1 (2.5Gbps) compatibles. Experienced design and durable material for High frequency and low attenuation. Taiwan Made high quality for PC server / mother board. 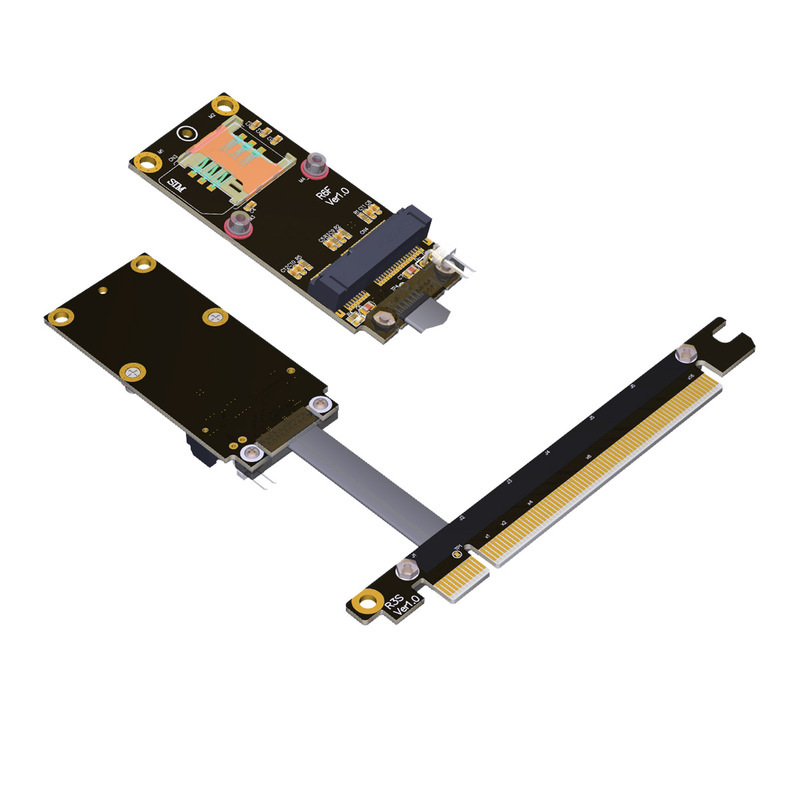 PCB-Swaddled and fixed with Bolts and nut to prevent tearing and short circuit for PCB-Cable solder points. 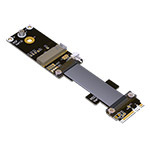 R33SR-050A Unit price: USD 72. 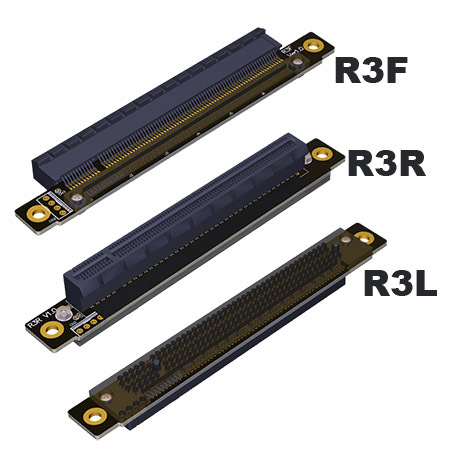 R33SL-050A Unit price: USD 72. 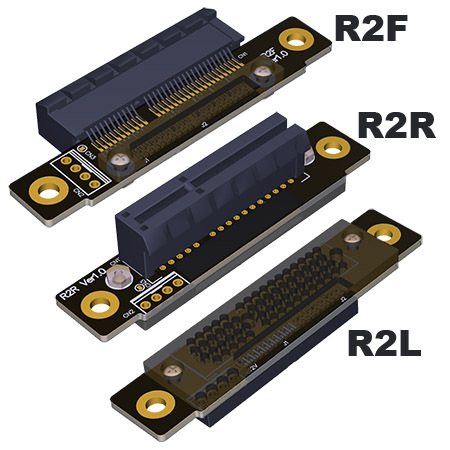 R33SF-050A Unit price: USD 72.